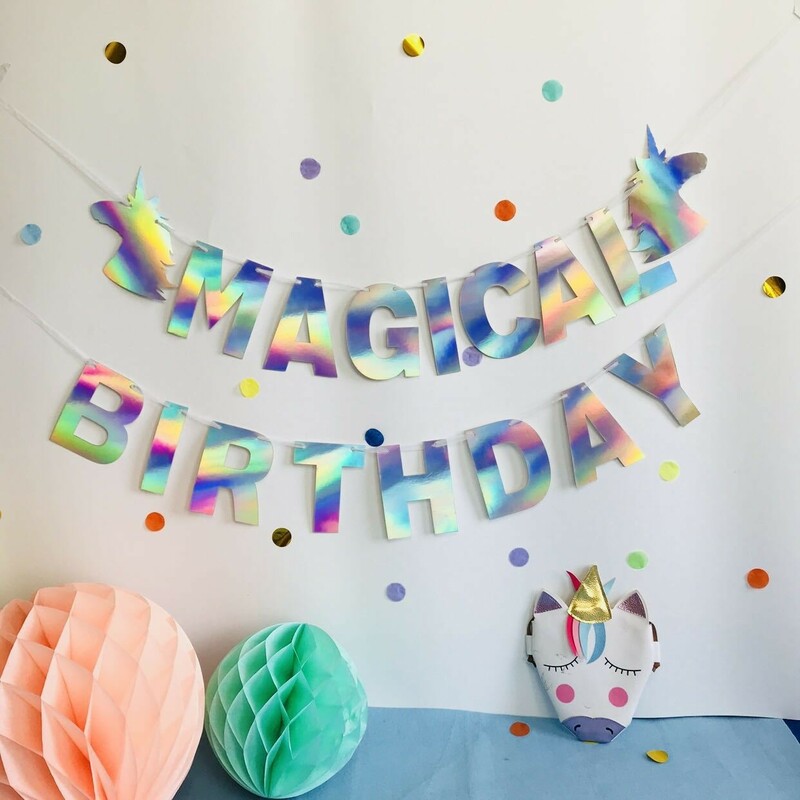 Iridescent birthday banner is awesome for your events. 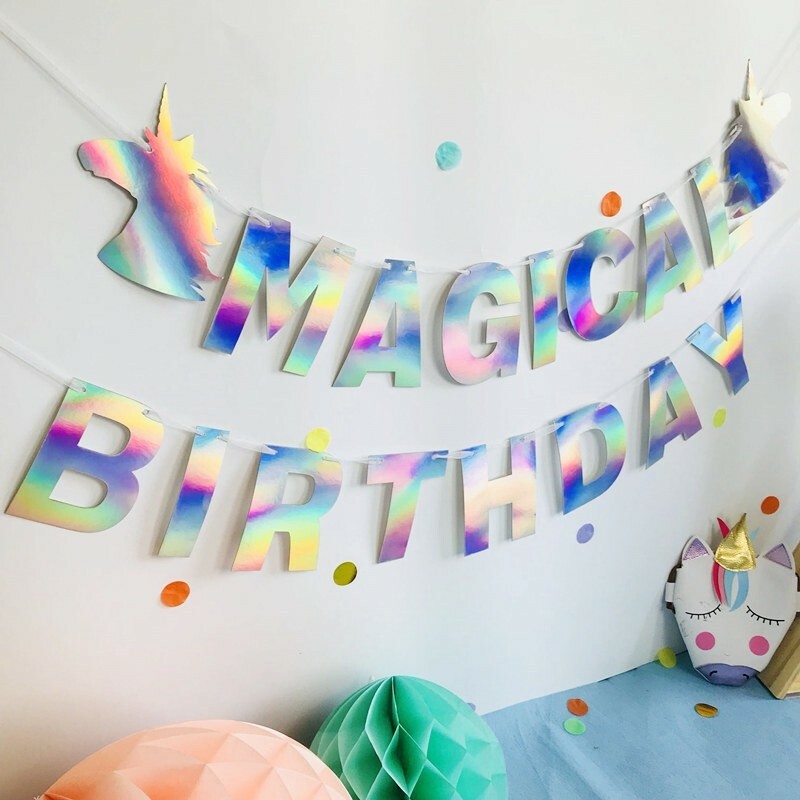 Simply hang the banner on the wall to create a unique party set-up! 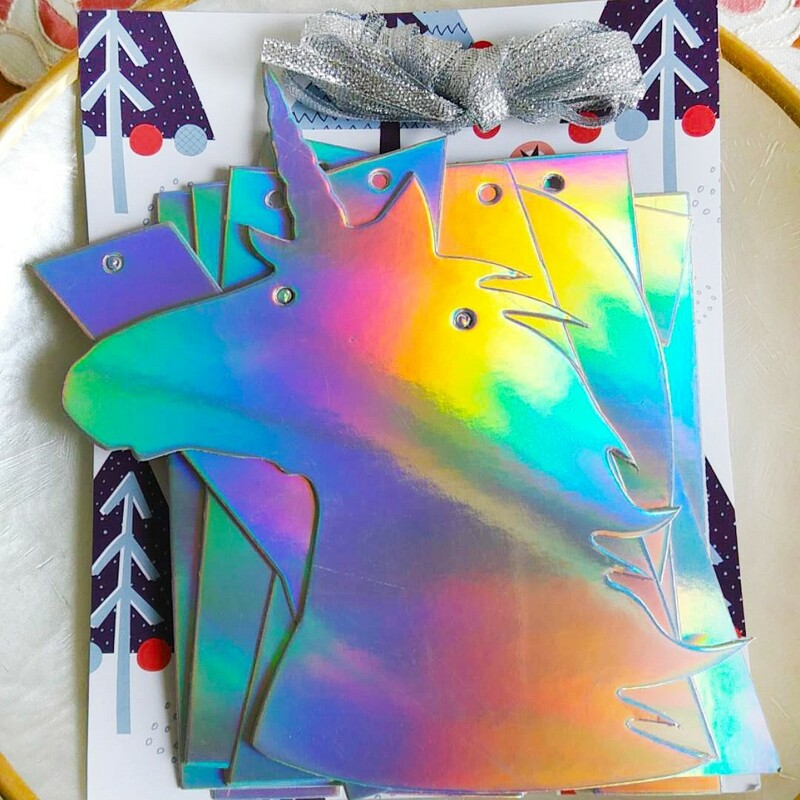 Super cute, shiny and catches the light well - great party decoration, very flashy and eye-catching! 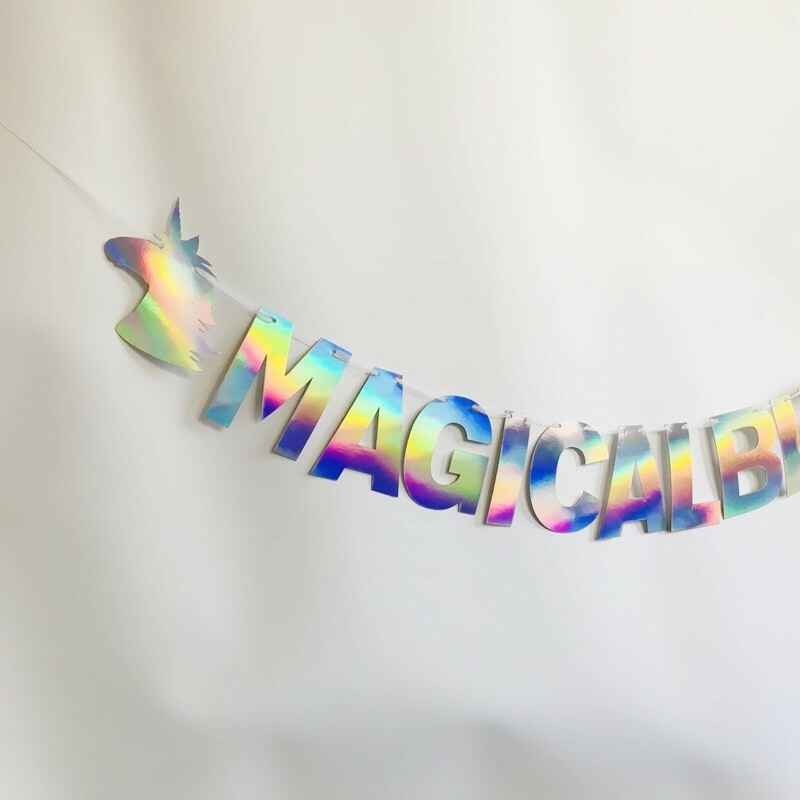 This banner can be used for boys and girls birthday parties due to its holographic colors. It's a perfect party decoration and a great backdrop for your party photos. Each letter is approx 4.5" height. The banner is made from holographic paper. When you select the "MAGICAL BIRTHDAY" option, you will receive the MAGICAL BIRTHDAY banner. 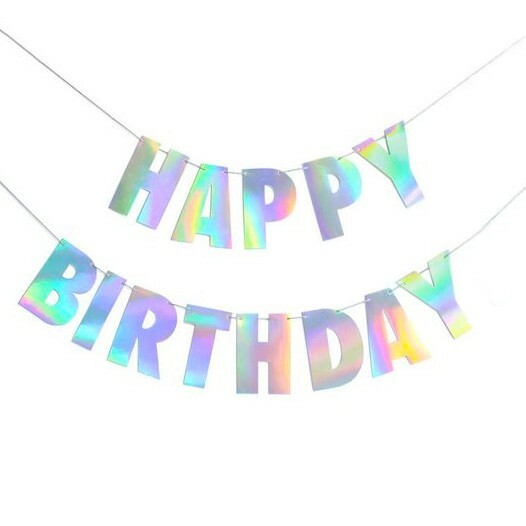 When you select the "HAPPY BIRTHDAY" option, you will receive the HAPPY BIRTHDAY banner. When you select the "no name" option, you will receive the Birthday banner. There are no personalized letters. If you want to add the custom-made holographic letters, please select the option based on how many letters are in the name. The name will be uppercase. 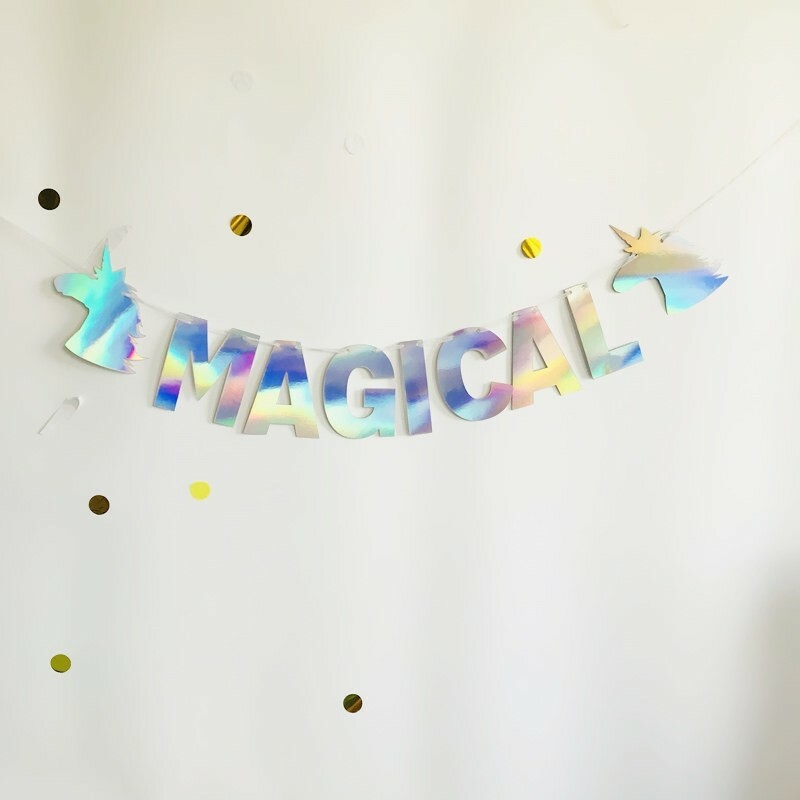 For example, if the banner is to read " MAGICAL BIRTHDAY LINDA", choose the 5 letters in name price. IMPORTANT NOTE: When leaving the name you would like for this banner in the comments section at checkout page, type it exactly how you would like it to appear on the banner. Each letter is an individual letter. Letters are not connected to each other and can be spaced as close together or as far apart as desired. The letters are in uppercase. The order with custom-made letters is not returnable, exchangeable, refundable.